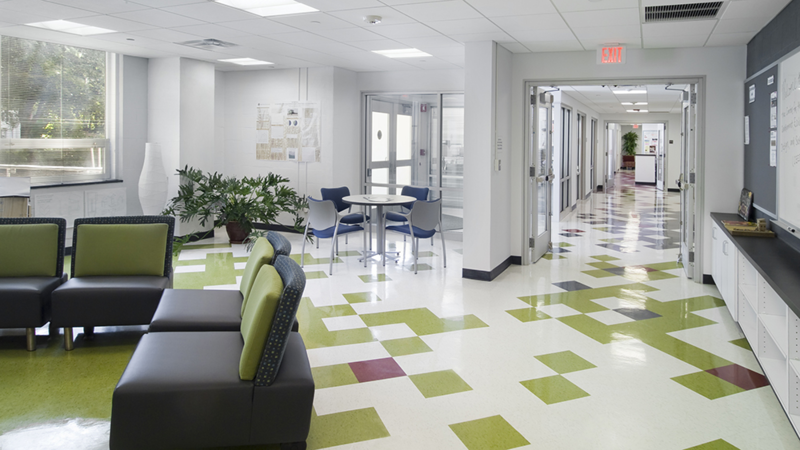 CEEDS is the Center for the Environment, Ecological Design, and Sustainability. With sustainable development an increasingly dominant issue of our time, CEEDS exists with one purpose: We facilitate academic and applied experiences for students that help them excel at integrating knowledge across disciplines, in support of environmental decisions and action. 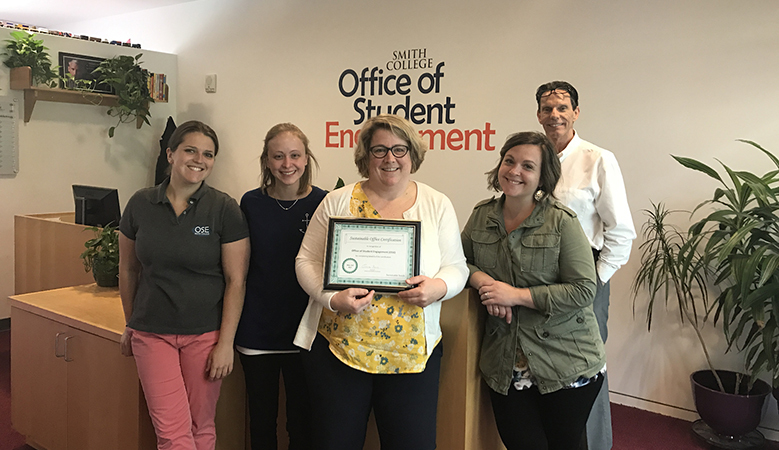 We work to integrate sustainable practices into Smith’s operations and connect campus operations with student learning. We also support faculty in their efforts to deepen their understanding of salient environmental issues and to integrate those issues into the curricula. We promote institutional innovation and progress toward the college’s commitment to be a model of sustainability. CEEDS houses faculty and staff from different disciplines and backgrounds who have the common goal of fostering and enhancing environmental sustainability and learning at Smith. Smith’s long history of recycling speaks to its consistent concern about the environmental impact of its operations. Since 1990, Smith has expanded its recycling program to a robust campus-wide system in every student house, public space and office. Student efforts started the composting movement on campus in 2005 and it has grown steadily since. Dining areas compost both pre-consumer and post-consumer waste, from kitchen scraps, to diners’ plate scrapings. Electronics recycling—Batteries and other small electronics can be recycled in the Electronics Recycling Center located on the lower level of the Campus Center, between the mailroom and the campus store. The Sustainable Office Certification Program is designed to recognize, support and highlight offices that are engaging in sustainable practices. Certification is based on a checklist of activities and behaviors that progress from level one to level three. The first level covers energy conservation and waste reduction practices many offices are already using—or that are easy to start—such as turning off lights and projectors when they are not in use. Practices become more challenging at the upper levels, and include using reusable mugs and water bottles, and taking notes electronically rather than on paper. Read more about the Sustainable Offiice Certification Program and participating offices on the Gate. Smith has an incredible faculty who are deeply committed to student learning. To increase the environmental literacy of all Smith students, CEEDS supports the faculty in bringing environmental concepts and context to a wide variety of courses. Every spring CEEDS invites proposals from faculty and teams of faculty who want to develop a new course or modify, revise or enhance an existing course. The program supports activities like the development of a new course, new lectures or discussion topics, design of new assignments and projects, and incorporation of field trips and experiences. CEEDS can provide expertise, infrastructure, supplemental course funds and course development funding in support of these efforts. We are particularly interested in proposals that highlight/examine the sustainability of our campus operations, that support our environmental concentrations, that make use of the MacLeish Field Station or that connect in some way with the 2019–20 Themed Year on Climate Change. One of the Initiative’s primary goals is to incorporate human-centered design into the liberal arts education. One way we do that is by providing opportunities for faculty to collaborate across disciplines, integrate human-centered design into courses, use Capen Annex as a space to experiment with making and teaching in new ways, and engage in cross-disciplinary design-oriented projects outside of the classroom in the community. Please contact Joanne Benkley to discuss your ideas and questions. All proposals are to include an articulation of anticipated educational outcomes, and recipients of funded proposals will be asked to report back on results. Completed applications should be sent to Joanne Benkley by April 15, 2019. 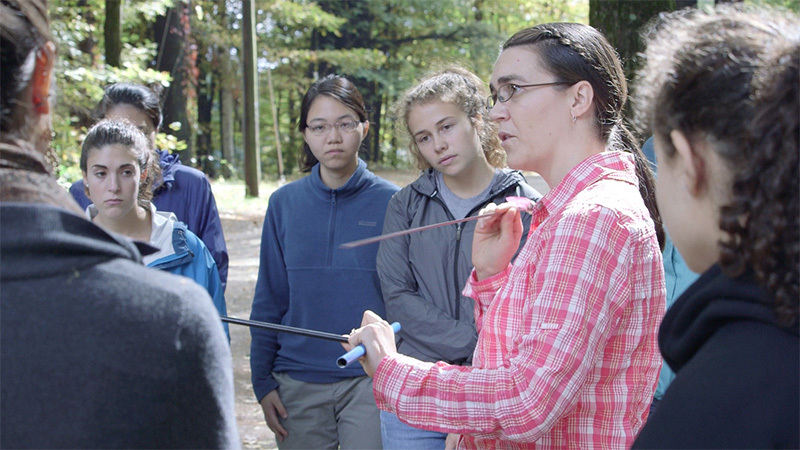 To support research in the environmental sciences and to improve quantitative literacy among all students at Smith College, CEEDS supports an environmental monitoring program. Quantitative data on the environments around Smith are made available to faculty and students for use in courses and projects. Currently, most of these efforts are based at the MacLeish Field Station, and we see opportunities to grow this program to include Smith’s campus and other areas. For specific questions regarding environmental monitoring data, please contact Paul Wetzel, at 413-585-2646. Specific policies that guide operations on campus will be listed below as they are adopted. CEEDS is a hub for environmental sustainability and research in and outside of the classroom.